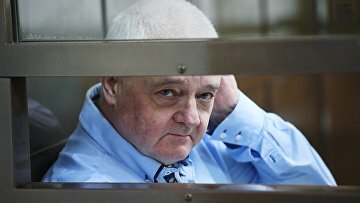 Russian court sentences Norway citizen to 14 years for espionage | Russian Legal Information Agency (RAPSI). MOSCOW, April 16 (RAPSI) – The Moscow City Court on Tuesday found a citizen of Norway Frode Berg guilty of espionage and sentenced him to 14 years in high security prison, RAPSI reports from the courtroom. The ruling would be appealed, the defendant’s attorney Ilya Novikov told RAPSI. Moreover, the lawyer leaves open the possibility of Berg’s exchange or pardon. Prosecutors earlier demanded 14 years for Berg while his defense petitioned for acquittal. The trial of Berg was held behind closed doors because of classified information in the case. According to prosecutor Milana Digayeva, Berg has collected information on Russian nuclear-powered submarines for the Norwegian intelligence service. Currently, the defendant is in jail. On April 2, the court extended his detention until September 22. In September 2018, Russian investigators authorized a supplementary expert examination in the case against the Norwegian citizen.